Statistically, Josh Shipp should be dead, in jail, or homeless. But his success as a preeminent author, speaker, and global youth empowerment expert is living proof of the power of one caring adult. A former at-risk foster kid turned youth advocate, Josh is renowned for the documentary TV series on A&E that followed his groundbreaking work with youth and families. Thanks to the support of teachers, counselors, and a wonderful set of foster parents, Josh went on to be listed on Inc. Magazine’s 30 under 30 list, and is now a postgraduate student at Harvard himself, further honing his skills in persuasive communication. Josh is regularly called on by OPRAH, CNN, FOX, The New York Times, 20/20, Good Morning America, and others to provide commentary on common challenges faced by parents and teachers. 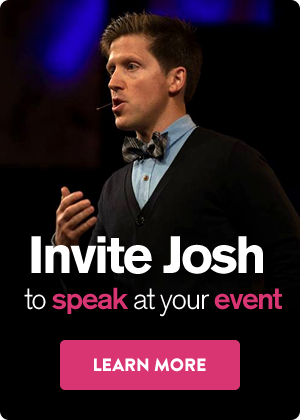 Over the years, Josh has keynoted events for countless groups of parents, educators, and social workers – with audiences as large as 55,000 – and to date has spoken live in front of more than two million people. Viral clips of his acclaimed presentations have been viewed an estimated 50 million times online through platforms such as UpWorthy, Goalcast, and BuzzFeed. 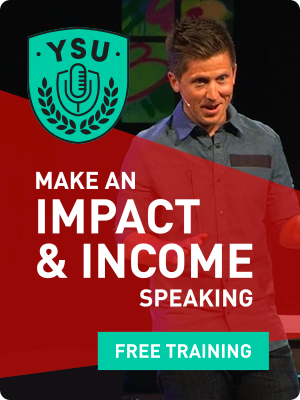 To serve his ultimate goal of reaching as many youth as possible, Josh trains other speakers through Youth Speaker University, helping them use their own stories to make an impact. His social and emotional learning curriculum, Year of Awesomeness, is in use in hundreds of classrooms all around the world, while his free newsletter offers practical strategies to 200K+ parents, educators, and social workers. Josh talks directly and with humor about topics that can make or break a young person’s success. Often difficult for others to cover, Josh has an uncanny ability to take them on willingly and makes them his own – going one step further to help you make them your own. As someone who’s been there and done that, he is able to talk convincingly about all of the things that make raising, helping and educating a young person so excruciatingly difficult. His style and content are both youth tested and parent approved. 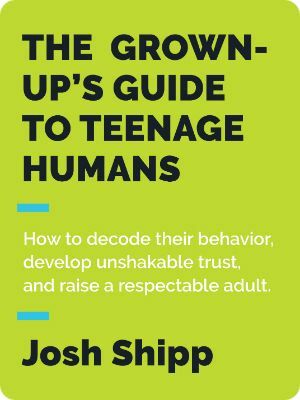 "When it comes to understanding what drives and holds back youth, there is no greater expert than Josh Shipp. I've witnessed firsthand the lives he's transformed." Josh had a challenging childhood, bouncing from one foster home to the next until a small handful of caring adults reached out to him. Now he wants to pass this knowledge on to as many others as he can, so that they can be those caring adults for the kids like him in their lives.